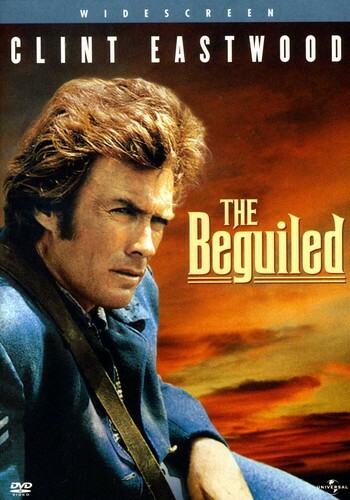 This tense off-beat drama, Clint Eastwood plays a wounded Union Army soldier who avoids capture during the Civil War by hiding in woman's boarding school, run by head mistress Geraldine Page. Eastwood soon becomes catalyst for flurry of jealously and hatred. (19710 Running time: 109 minutes.